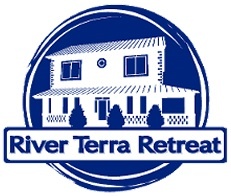 River Terra Retreat is the newest Colonial Beach, Virginia Bed and Breakfast Inn. 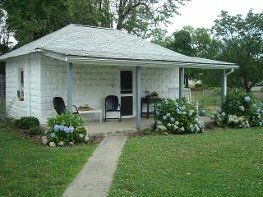 The property, made up of The Cator House and Carlotta's Cottage is the perfect spot for a relaxing getaway. It also serves as a facility for small corporate retreats and weddings as well as meetings, parties, family reunions and just about any other special function you can dream up. The Cator House, circa 1911 features expansive front porches, an upper deck with river view, a solarium, sitting and meeting rooms, four bedrooms, a formal dining room and an eat-in kitchen. 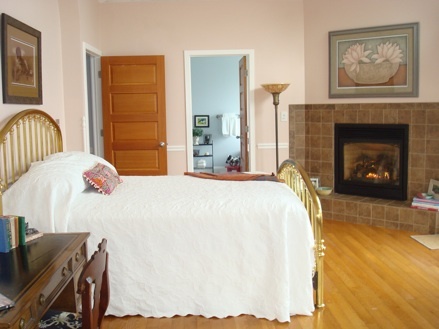 The Riverview Suite, shown here, is a spacious upper floor room with a fireplace, direct access to the deck, a cozy sitting area, a Queen size bed, television and a private bath with a shower and a jacuzzi tub. Carlotta's Cottage is just steps away from the main house. Here you can relax on gliders on its welcoming full-length front porch. Inside there's a room perfect for overnight guests, and it can also be configured into meeting space for conferences. A garden provides tasty ingredients for those wonderful home-cooked meals you'll get during your stay at River Terra Retreat. The expansive yard provides space for lawn games like bocce ball and croquet. Large shade trees will cradle you in their hammocks. On beautiful 4th Street with lovely grounds and water views of and easy access to the Potomac River. Within walking distance are many of the fun attractions in the Town of Colonial Beach. Many different retreats are available, including The Antique Juntique Retreat, where you can explore the area's vintage and antique shops, The Golfer's Retreat, perfect for enjoying a relaxing day on the greens and The Fisherman's Retreat offering the chance to spend a day on the water, then bring your catch back to River Terra and prepare it how you like it. Kristine Guido spent her childhood summers at the property visiting her grandparents. A few years ago, she moved in full-time and is the fourth generation to live there. 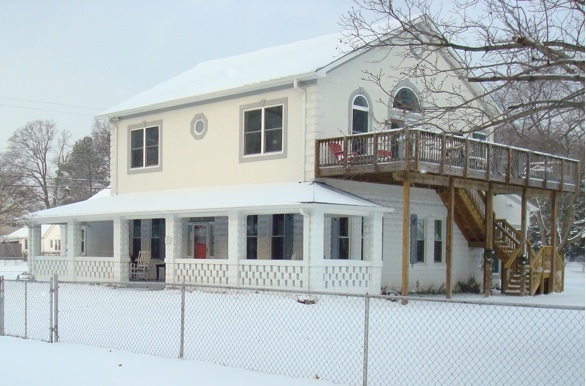 A seasoned event planner and coordinator, she now proudly opens the family home and welcomes folks to experience all that this unique Virginia Bed and Breakfast has to offer.